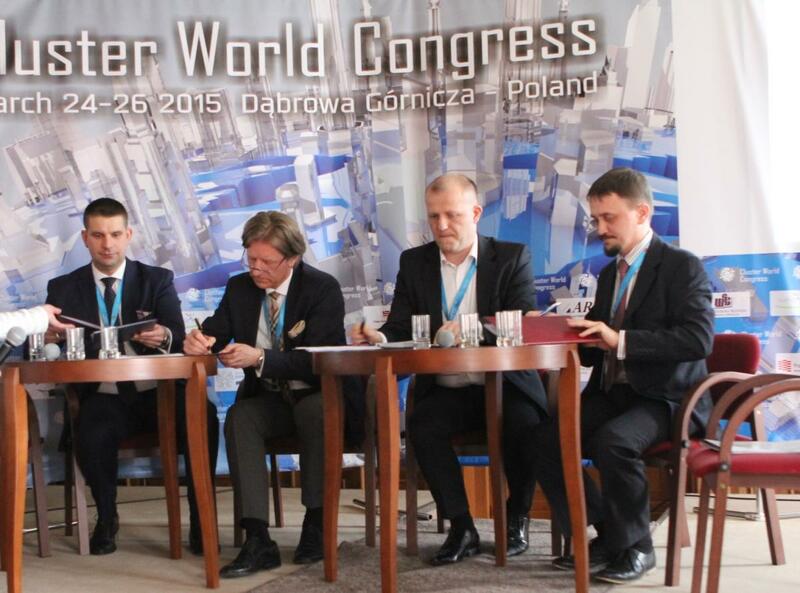 Held from 24th to 26th of March took place the World Cluster Congress in Dąbrowa Górnicza. It was the first event of this type and it was Poland that had the privilege to be the host of this venture. First time in history practitioners associated with clusters all over the world had opportunity to participate in this extraordinary important event. The organizers were Parliamentary Group for the Cluster Policy, President of Dąbrowa Górnicza, National Innovative Enterprises Cluster and Agency for Enterprise Development of Subcarpathia. Congress gathered representatives from politics, science and business. We were visited by guests from Europe, Asia and Africa. During deliberations National Clusters Net was set up. It’s aim is to develop cooperation between national clusters and foreign cluster organizations. Mainly by enhancement of clusters potential by creating platform of connections to built economy based on clusters and implementation of economic specialization. Our Cluster could not miss such an event. We were represented by Bartosz Hajncz and Piotr Polański and also by our member Krzysztof Pokorny, the chairman of Euroimpex sp o.o. Our Chairman actively participated in debate devoted to healthcare issues. During the thematic session concerning medical problems, the letter of intent was signed. The agreement was set between National e-Zdrowie Cluster, Polish Innovative Cluster PIKMED, Modern Medicine Cluster and our Innovative Medicine Cluster. This agreement assumes cooperation in the field of medical market and healthcare. It’s the first initiative of it’s kind among Polish medical clusters. Periodic partners meeting will result in, inter alia, creation of platform for cooperation and information. Clusters cooperation is to spread also beyond Polish borders in search for partners for international projects.